Not by train or by bus or by sea. Not by marriage or by family. Your name’s not down and you’re not coming in. and risked everything clinging to the underside of a lorry. and you’re not coming in. 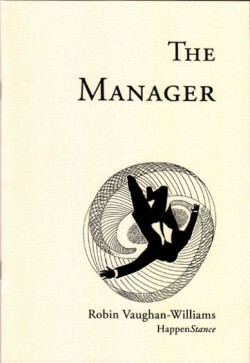 and management don’t like your face. They don’t like your sandals. They don’t like your farmer’s outfit. They don’t like your hair. They don’t like your company. They don’t like your dancing. And they don’t understand a word you say. One area of poetry improvisation I’m keen on exploring is movement—in terms of building up a relationship between speech and movement to give performances a more physical dimension, but also how posture and movement affect the way we speak while improvising. Getting performers pacing up and down the room can add nervous energy to their verbal improvisation, and simple things like whether they are looking at one another or up at the ceiling can dramatically change the dynamics. 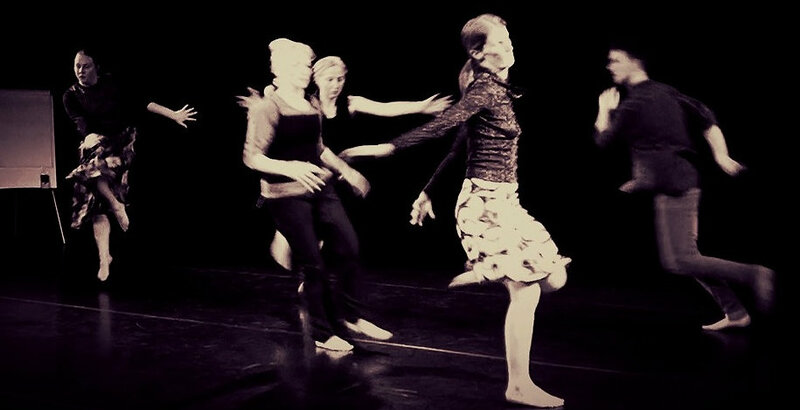 So I was pleased to be invited to take part in a workshop with Quick Shifts, a dance improvisation collective based in Leicester, in February. We explored ways of incorporating speech into their performances, and one of these ideas formed the basis of their show on 3 March. I also benefitted a lot from seeing how people use improvisation in another artform where it is more established; for example, how they use the number of performers (solo, duet, triplet, etc.) as a central structuring principe. Earlier in April I met with Mark Goodwin for a session in Nottingham, where we recorded some duets and alternating solos (usually I work in bigger groups, so this was a good chance to explore techniques for working as a pair). We’ve both got the recordings, so there may be some alternative versions surfacing once we’ve got round to editing them. There are plans for more in Nottingham over the next few months, with probably a scratch event coming out of it at some point. I was excited to hear last week I’ve got three poems in one of my favourite magazines at the moment, Obsessed with Pipework. ‘Story’ and ‘Lay-by’ are from my Poems from the Road sequence, and ‘Trickster Wind’ is about noises in the back yard. ‘Pills’ (which riffs off William Carlos Williams’ ‘This Is Just to Say’, but substitutes ‘pills’ for ‘plums’) appeared in Open Minds Quarterly 17:3. 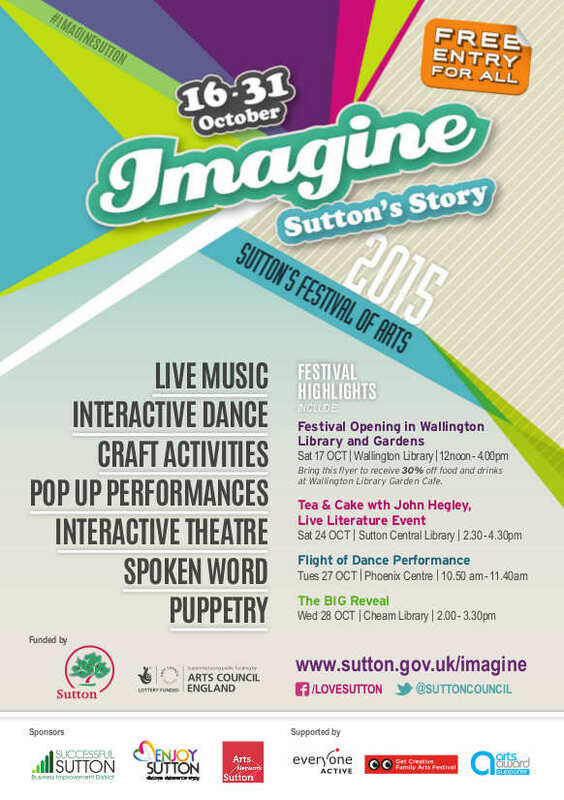 Next week I’m picking up an award, alongside Rachel Sambrooks, for our work on Sutton Stories, a project that ran from July to October last year as part of Imagine Festival of the Arts. It culminated in ‘a truly intergenerational event that gave the elderly a sense of connection to the community and emotionally moved many of the public’, in the words of the Festival Report. Thanks are also due to Joanna Steele, who put a huge amount of effort into the project and successfully managed to pull together all its different strands. There’s a blog post about the work I did with care home residents for the project here: http://www.zeroquality.net/zqblog/?p=747. 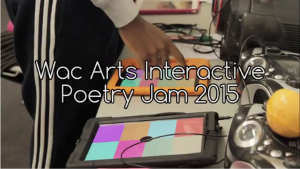 In September 2015 I ran a digital poetry jam project with young people in the WAC Interactive group at WAC Arts in North London. This was a trial project, exploring how we could use Keezy, a sampling app on the iPad, as a fun and engaging way into poetry. The idea was simple: we’d write lines (or just think them up in cases), sample them, and have a go at playing back in different ways. Participants would be able to create the content, use their voices, try out different arrangements, and produce a performance, but without the pressure of having to write a fully formed poem or read out in front of the whole class. We had a fantastic range of responses, ranging from the poignant to the comic, and it was amazing to see how every person had a different approach to playing back the samples. One person would play back more conventionally, line by line, another would make use of the chorus, a third would go minimalist, stuttering back and forth between just two samples, and a fourth would use looping and layering to create a full-on DJ mash-up. Here’s a mix I put together afterwards using Launchpad, a live sequencing app. Many thanks to WAC Arts for giving me the chance to trial the project, and indeed sparking the idea in the first place through the Creative Innovation for Inclusion (CiFi) Think Tank I attended there back in January 2015. If you’re interested in me running a digital poetry jam for your school or organisation, get in touch via my contact page. 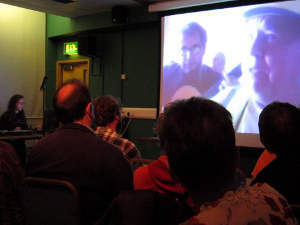 In this issue of zqNews, find out about two forthcoming events using Skype and poetry improvisation to make connections, and check out a couple of videos recently uploaded to YouTube. 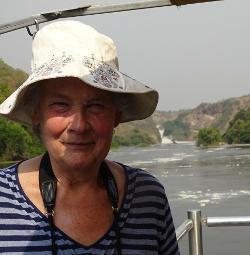 Texas 2 London, my next Skype event, is happening this Friday, 10 April, in Colliers Wood, London. We’ll be linking up with a parallel event at the Austin International Poetry Festival (AIPF) in Texas with three featured poets either side of the Atlantic sharing their work. There’ll also be a chance for three open mic participants to perform in front of the Austin audience via the video link. One our side we’ve got Matt Black, Agnes Meadows, and Kayo Chingonyi, and in Austin we’ll be hearing from three AIPF poets: Element615, Teresa Y Roberson, and Mr Dave. I’ll be presenting alongside electro-pop poetry duo Project Adorno, and the Texas event will be hosted by Thom the World Poet. Thom is a gloriously spontaneous, unpredictable, and inspired poet and also committed to the principles of democracy in the arts. 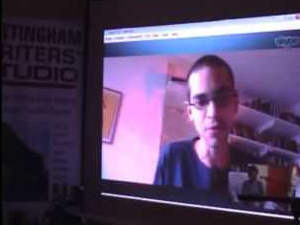 Check out his appearance at a previous Skype event on YouTube. The evening kicks off at 7pm with the open mic (first come, first served), then we’re online with Austin from 8 to 9.30pm. For more details about the programme visit http://www.zeroquality.net/texas2london.html. £3 on the door. Enquiries to 020 3730 8039. The last couple of months I’ve been working with four poets—Becci Fearnley, Sean Wai Keung, Andrea Queens, and Zahrah Sheikh—on putting together a performance using poetry improvisation techniques. We’ve got one more workshop to go, then the final event, where there’ll also be a collaborative performance from Apples and Snakes’ GasWorks group, will take place on Tuesday 14 April at Free Word (Farringdon) from 7.30pm (Free). It’s the first chance I’ve had to work with a group over a sustained period on a poetry improvisation project, and the first time I’ve used improvisation to put together a performance rather than recordings, so it’s been an exciting and new experience for us all. The group has been amazing, fearless, and eager to rise the challenge, and I’ve learnt a lot from them myself during the workshops. Our final piece is provisionally entitled ‘You are not the voices inside my head’ [later changed to ‘Grey Parrot Singing’] and circles loosely around the idea of ‘search’ and what happens to our voices in the age of social media. YouTube has been a significant source of material, from trolling to cat videos, self-hypnosis and political rants. The performance includes several improvised scenes, including free improv, pair work, a human-generated Apostrophe poem, and a warm-up that surprised us all by uncovering the poetry of numbers. 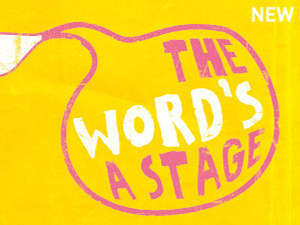 It’s been a busy few months what with Texas 2 London and Word’s a Stage coming up, and the Nottingham Writer’s Studio’s London showcase, which I hosted on 21 March 2015. 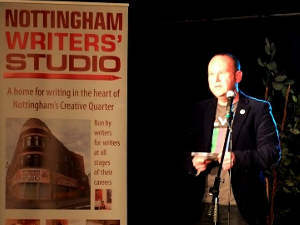 When I was Development Director at NWS we’d been talking about a London showcase to help bridge the gap between the London-centric publishing world and the strong writing communities in Nottingham and other regions, so all credit to my successor Pippa Hennessy for taking the first step in making this happen. 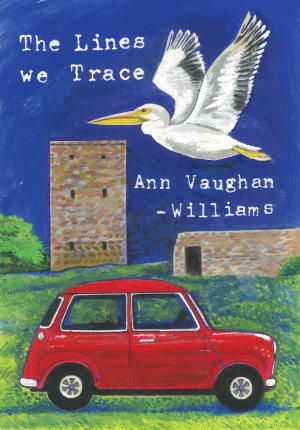 The readers were all contributors to one of NWS’s new ventures, a literary journal that has so far covered ‘crime’, ‘secrets’, and ‘a sense of place’. You can get hold of the journal in electronic form for free on Issuu: http://issuu.com/nottinghamwritersstudio. It was great to hear the stories and poems I’d read in the journal straight from the writer’s mouth and to feel the enthusiasm in the room from both audience and readers. One of my favourite stories was Lynda Clarke’s rather gruesome tale ‘Stealing from the Dead’, and Andrew Kells and Liz Hart in particular electrified with their energetic performances. I’ve been uploading videos to YouTube recently. Here are a couple you might enjoy. If you’d like to receive zqNews by email you can sign up here.